Last week President Barack Obama embarked on his great reassurance tour of Asia. America’s allies need not fear. No matter how wealthy, influential, or powerful, they can count on Washington’s continuing protection. So it is with the Republic of Korea (ROK) or South Korea. Behind America’s shield the South has prospered, developing an economy now around 40 times the size of North Korea’s. The ROK also has twice the population, an overwhelming technological advantage, access to global markets, and numerous important international friends. Yet when President Obama arrived in Seoul he announced: “The commitment that the United States of America has made to the security of the Republic of Korea only grows stronger.” The U.S. is rather busy in the world. Why must Washington promise even greater support for a country well able to defend itself? 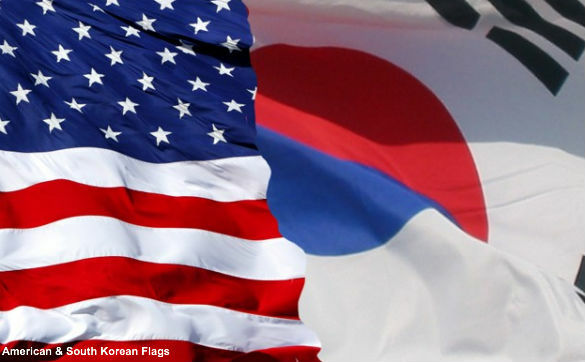 In one sense the ROK’s dramatic growth demonstrates the success of American policy. For years, without U.S. backing the South could have been overwhelmed by Pyongyang in a second Korean War. But the correlation of forces began to change in the 1960s. By the new millennium the Korean race was over. Seoul had won decisively. Only in terms of military power did Pyongyang remain ahead, and even there its advantage waned. The DPRK held that advantage only because South Korea chose not to invest more of its growing wealth in its military. Which Seoul could do only because America was still protecting the South. It is impossible to blame South Korea for taking advantage of Washington’s misplaced generosity. The U.S. had no similar excuse for maintaining the status quo. If there was no cost of defending much of the known world, there’d be no problem with this policy. However, while everyone assumes America’s promise to intervene will deter war, human history is littered with cases when deterrence failed. Finally, Washington’s treaty commitments and force deployments discourage allied nations from doing more on their own behalf. The worst danger for America from its commitment to the ROK is involvement in an unnecessary war among nuclear powers. After years of attempting to dissuade Pyongyang from building nuclear weapons the U.S. government appears to have concluded that the DPRK is unpersuadable. This realization has left Washington officials searching for new approaches. In fact, news reports indicated that Pyongyang was high on the president’s agenda for his Asian trip. But the only reason the U.S. needs be so concerned is America’s military tie to the South. Absent Washington’s promise to war on the Seoul’s behalf, the DPRK would have little interest in America. Moreover, Pyongyang only has an ability to harm the U.S. because Washington has generously stationed 28,000 men and women, plus additional dependents, within range of its artillery and tanks as well as missiles. Of course, Washington promotes a general policy of nonproliferation. But that does not justify permanent defense treaties and garrisons. Worse, it isn’t clear that nonproliferation works any longer in Northeast Asia. In Northeast Asia Russia, China, and North Korea possess the doomsday weapon. America’s democratic allies, Japan, South Korea, and Taiwan, have no deterrent and instead rely upon the U.S. The risks of this policy increase as Beijing grows more aggressive. It might be time for Washington to indicate that if Pyongyang continues to follow its present course and China allows the North to do so, the U.S. government would withdraw its objection to its democratic allies following the same path. Dissolving the military alliance wouldn’t mean ending other cooperation. Even security cooperation would be possible, indeed, desirable, without America promising to defend its wealthy friend. The U.S.-South Korea military alliance once made sense. No longer. American policy will not have really succeeded until the ROK ends its embarrassing security dependence on Washington.